Description: The order of infection is important when different viruses overwrites the same part of a cells genome. 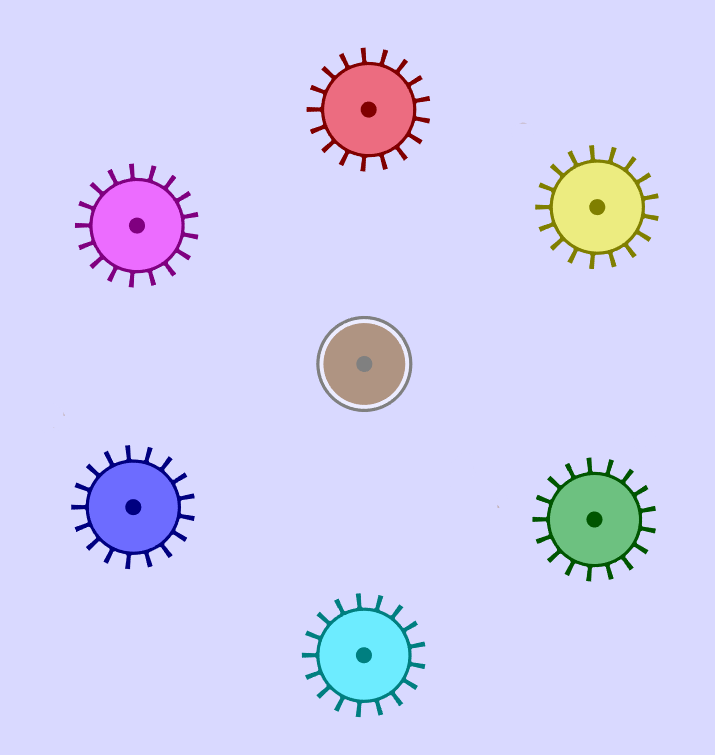 These viruses have been designed to create an interesting organism by infecting a simple lipocyte. Their order has been messed up, can you figure out the correct order of infection? Hint: In the main settings of cell lab there is an option to show cell types next to mode names. Turning that on is useful to inspect the genomes of these viruses.